From the revelation that the UK could support a zero-carbon electricity grid to a football pitch made from recycled plastic cups, each of these projects and initiatives is empowering businesses to play their part in achieving a sustainable future, today. In 2018, the National Grid ESO provided key services that enabled numerous firsts for the UK electricity system. Wind generation exceeded 15GW for the first time, for example, while the country also ran using no coal for 72 consecutive hours in 2018. The year saw a record-breaking amount of new UK offshore wind capacity installed, while weekly and daily generation records were continuously smashed over a 12-month period. This week, the operating firm claimed that Great Britain's electricity system can operate as a zero-carbon grid by 2025. Outlined in a 'Zero carbon operation of the electricity system by 2025' report, the ESO claims that new systems, products and services will be put in place over the next six years to support the transition to a decarbonised grid. Fintan Slye, Director of ESO, said: “Zero carbon operation of the electricity system by 2025 means a fundamental change to how our system was designed to operate; integrating newer technologies right across the system – from large-scale offshore wind to domestic scale solar panels – and increasing demand-side participation, using new smart digital systems to manage and control the system in real-time. The plastics problem has spanned across numerous markets, even reaching the world of football. Sky has teamed with the Premier League to eliminate single-use plastics from the organisation by 2020, while many special edition kits have been made using recycled plastic bottles. During the 2018 FIFA World Cup, one of the official partners, Budweiser, went into overdrive. More than 3.2 million Budweiser Red Light plastic cups were used during the event, with many taken home as souvenirs. 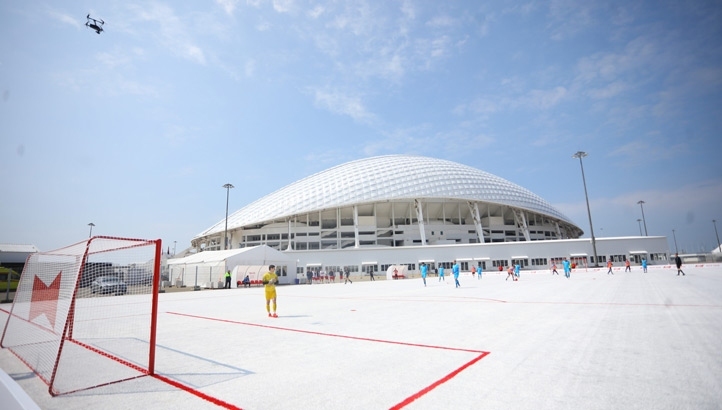 However, Budweiser also collected and recycled cups alongside a local organising committee and more than 50,000 of these recycled cups were used to create a wear-resistant coating for a new 65 x 42-metre football pitch for the Budweiser ReCup Arena. “The FIFA World Cup is a celebration for millions of fans not only in Russia, but around the world. Throughout the tournament, Budweiser surprised fans with its activations, gave them euphoric emotions, so we decided to create a unique facility – Budweiser ReCup Arena – specifically to extend this experience. Hopefully, this pitch will remind us of the past tournament and, probably, will help someone start a promising football career,” AB InBev’s Efes marketing director Konstantin Tamirov said. Recent research from the International Council on Clean Transportation has found that electric vehicles (EVs) can cost less to operate than petrol and diesel cars. However, uptake remains something of a future trend rather than a mainstream vehicle option right now. Some businesses are beginning to incorporate EVs into their fleets, matching the uptake with charging infrastructure in the process. Leasing and fleet management company Arval is installing 43 charge points at its Windmill Hill Business Park offices. The charging points, provided by NewMotion, will be used by Arval employees and those from seven other businesses using the building. Arval has unveiled plans to install new charging points at its other UK premises in Manchester and Birmingham, and already have around 100 plug-in vehicle drivers. Arval’s human resources director Ailsa Firth said: “As a business, we are committed to supporting the ongoing energy transition toward electric and plug-in hybrid vehicles and this means giving drivers convenient access to charging points. The construction industry is a vital sector for societal prosperity. However, the industry also accounts for around 50% of natural resource use, 40% of carbon emissions and has a long track record of working as a linear, waste-generating model. 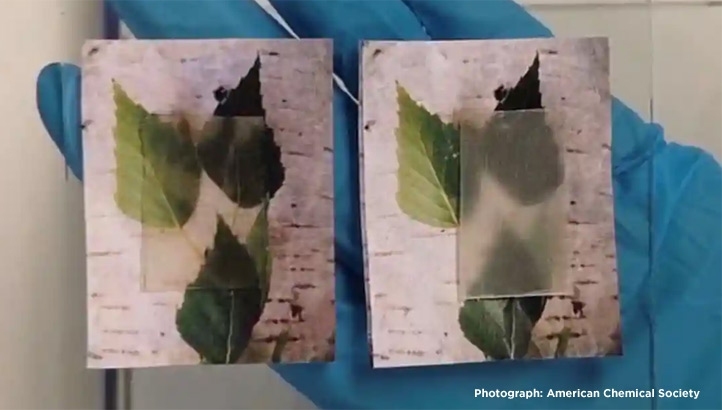 Fortunately, innovation has spurred some sustainable solutions in the area and this week saw researchers at the KTH Royal Institute of Technology in Stockholm unveil a wood-based material that could be used to create more energy-efficient homes. The innovation is based on balsa wood, but has the lignin remove and replaced with Acrylic which gives the material a transparent look but also boosts its strength, giving in more use in construction. The researchers are now exploring a biodegradable version to increase its sustainability use which could see it replace plastic, glass or even cement. “We prepared a material that is multifunctional – it can transmit light very well and also it can store heat. We combined these two functions in a single material,” said Céline Montanari of the KTH Royal Institute of Technology in Stockholm. Following the success of various furniture and textiles take-back schemes in the UK and a €6m electric vehicle (EV) charging infrastructure pledge, Ikea has carved out a leadership position in corporate sustainability; regularly appearing on these round-ups as a result. This week is no different, with the Swedish retailer outlining how it plans to provide clean, affordable and reliable energy to communities in need as part of its Better World Starts at Home campaign, which has already impacted communities in India, Kenya and Uganda to name a few.